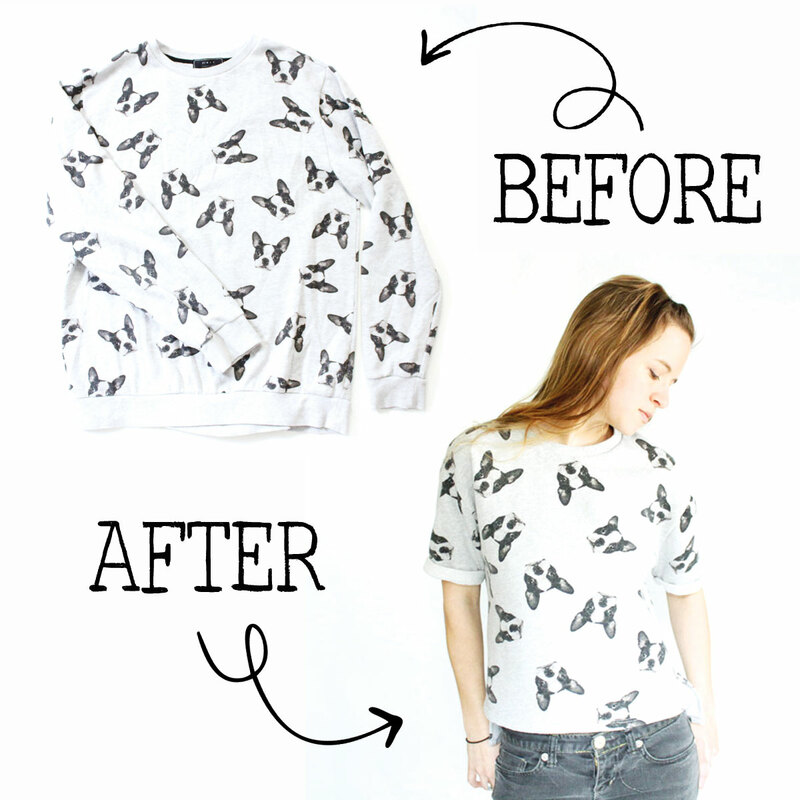 This is a great project for all those too-big-for-you sweatshirts you’ve been hoarding. Whether they are from your high school ex or your 80’s memorabilia collection, sometimes you love the design or the sentiment behind a sweatshirt but they are just too frumpy for out-in-public wear. 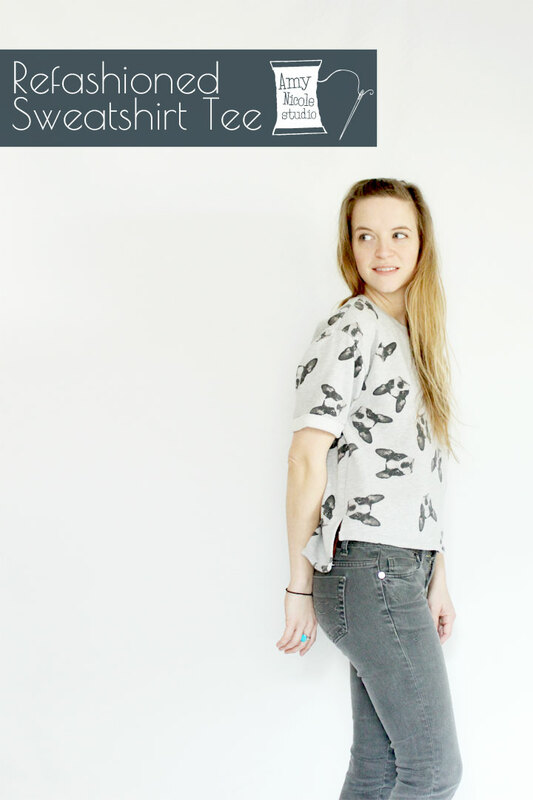 This tutorial will help you turn an oversized sweatshirt into a trendy sweatshirt tee with cuffed sleeves and a high-lo hem. 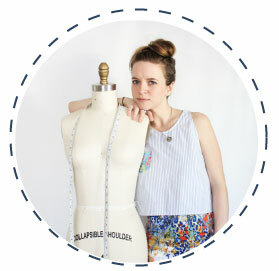 I had such great feedback from my post about my “Double Hacked” cut-out back Colette Laurel dress that I decided to make a tutorial post for you guys. 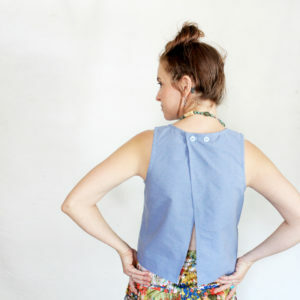 This tutorial will help you create a simple shift dress with a open back cut out using some simple pattern manipulation techniques. As I said, this is a double hacked Laurel. So before you get going with this tutorial, you will first need to download Sarai’s free Mod-ified Laurel hack here. 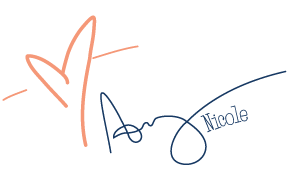 Follow her instructions to modify the original pattern, and before cutting out any pieces in fabric, follow my instructions below. 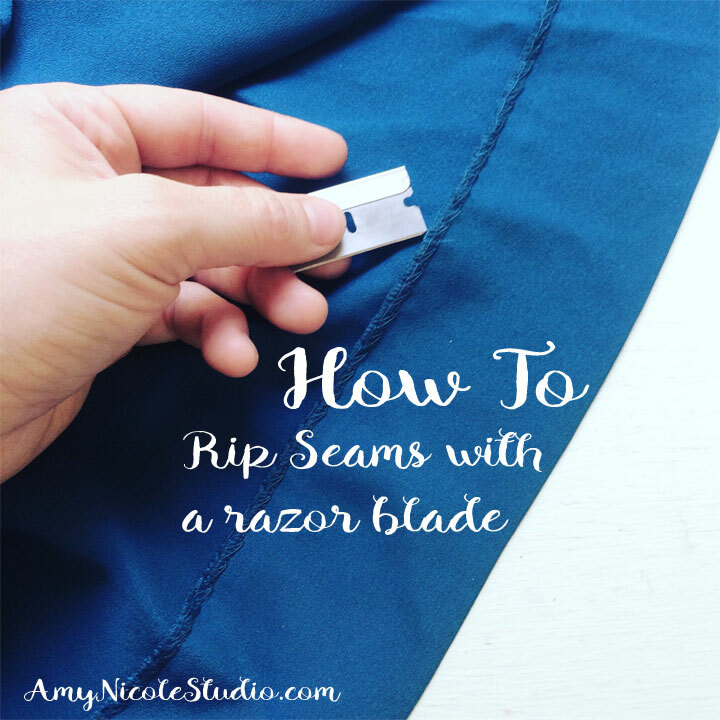 I get a lot of questions about how I rip seams with a razor blade. This technique was taught to me by my tailoring mentor, and in my opinion is much faster and more efficient than using a seam ripper. 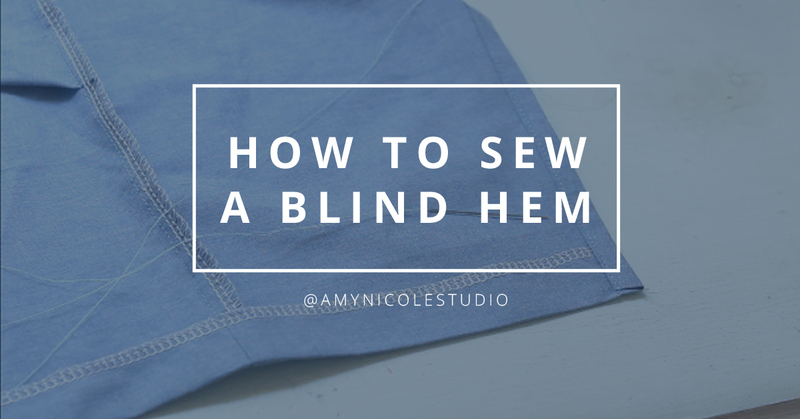 Today I’m sharing the video of my first ever Facebook live video in which I demonstrate how I use a razor blade to rip out a hem instead of a seam ripper. You can expect many more of these video tutorials from me in the future. I hope you enjoy this video! This does not go so smoothly with all fabrics. 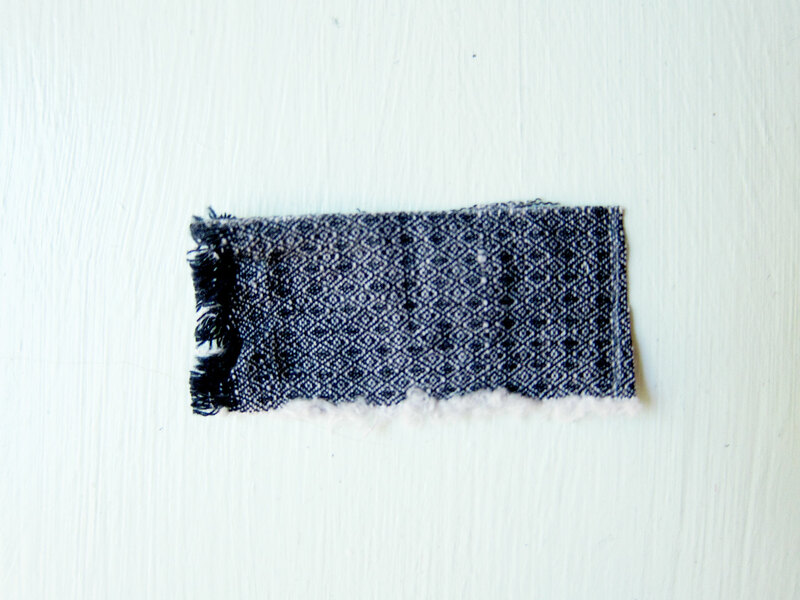 Things like wool or knits where the fabric isn’t so smooth require a much slower, calculated pull of the razor blade. It usually helps to pull the two layers of fabric away from each other as you are ripping with these kinds of fabrics. You can use this same technique for anything: garment seams, bindings, etc. When I do use a seam ripper, it is usually to pic out one or two threads on tightly stitched areas in order to get the seam opened up and then I switch to the razor. 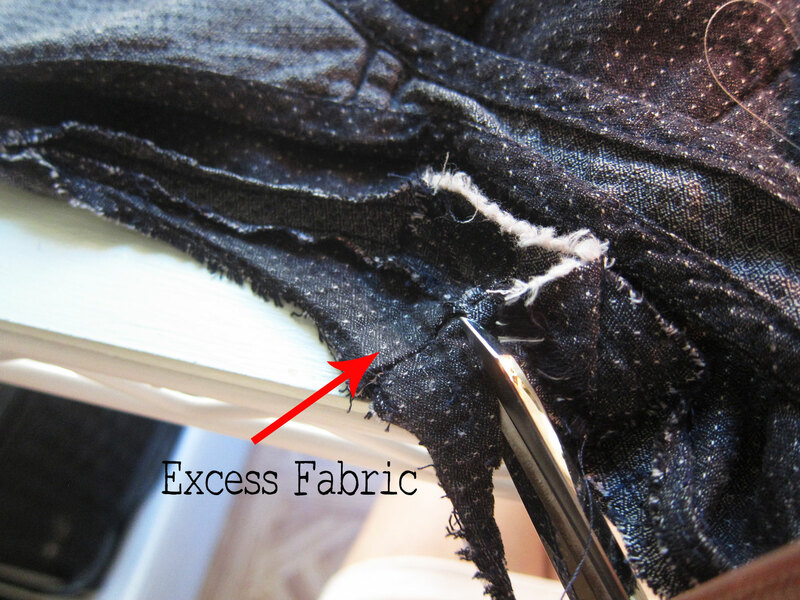 Be very careful at areas that are likely back stitched. You will have to go slow and pick out each stitch one by one. If you have any questions about this technique, please let me know in the comments below! 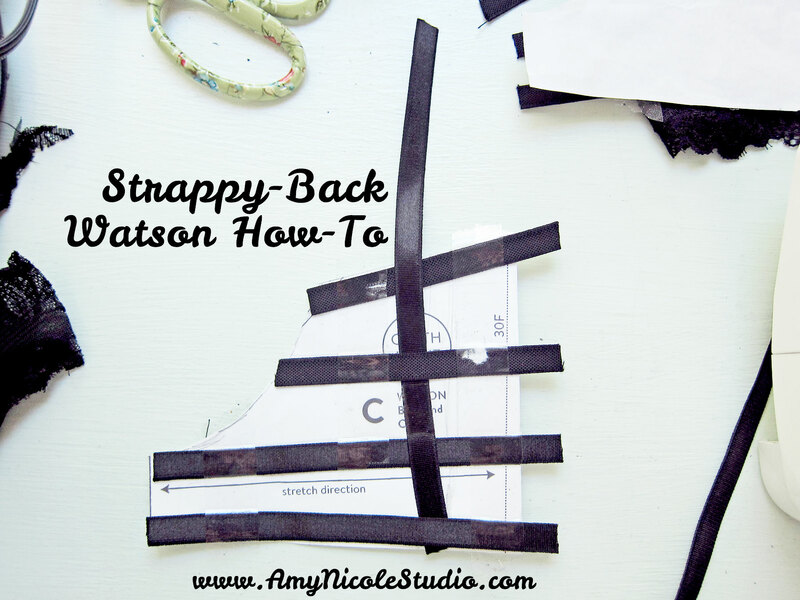 When I shared my personal version of the Cloth Habit Watson Bra with a strappy back detail I got a lot of comments wondering about my technique. I decided when I made my second one to make sure to take a lot of detail pics so I could do a tutorial for y’all. Over all the technique is fairly easy, its just a matter of getting yourself set up right. The Watson is a great pattern to work with for this technique because its a nice basic bra shape, with the option of a longline version. 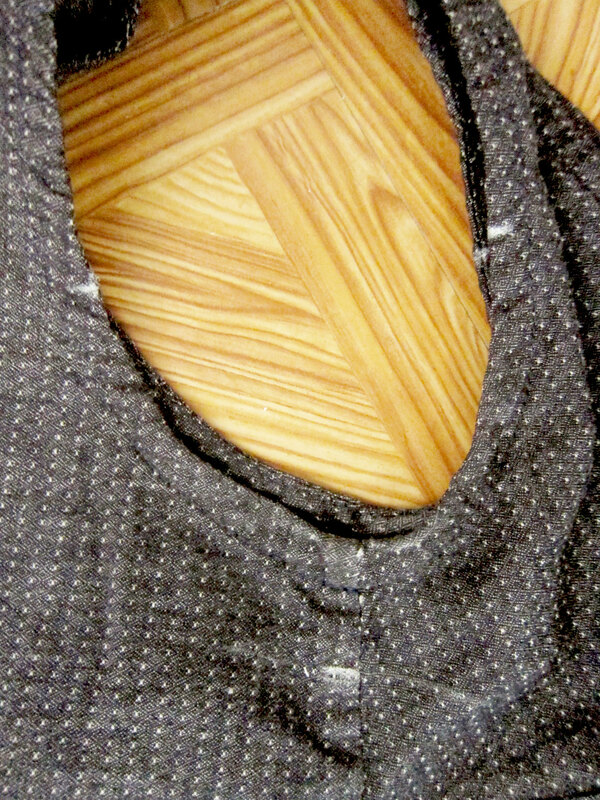 The way the pattern pieces are cut is very conducive to experimentation and alterations. For my first Watson I did the standard version, but for this tutorial I will be demonstrating the same technique using the Longline version. 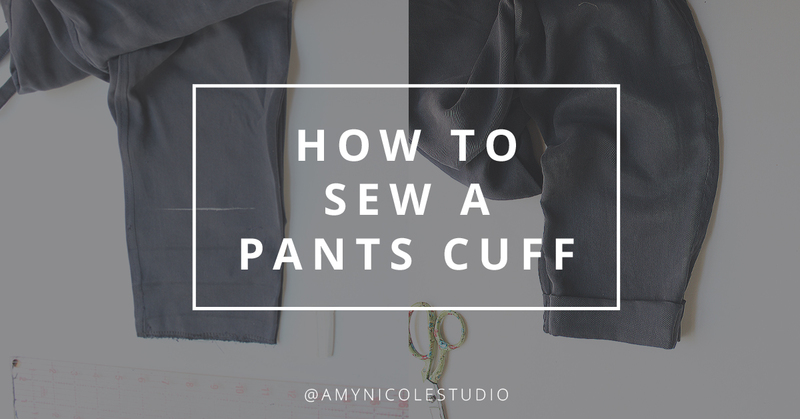 If you’ve followed me for a while, you know that the #1 adjustment I make to patterns before sewing them up is to lower the armhole. Mostly its a personal preference… I just can’t stand anything touching my armpit. But I also feel like many home sewing patterns are made around a more classic, modest silhouette. 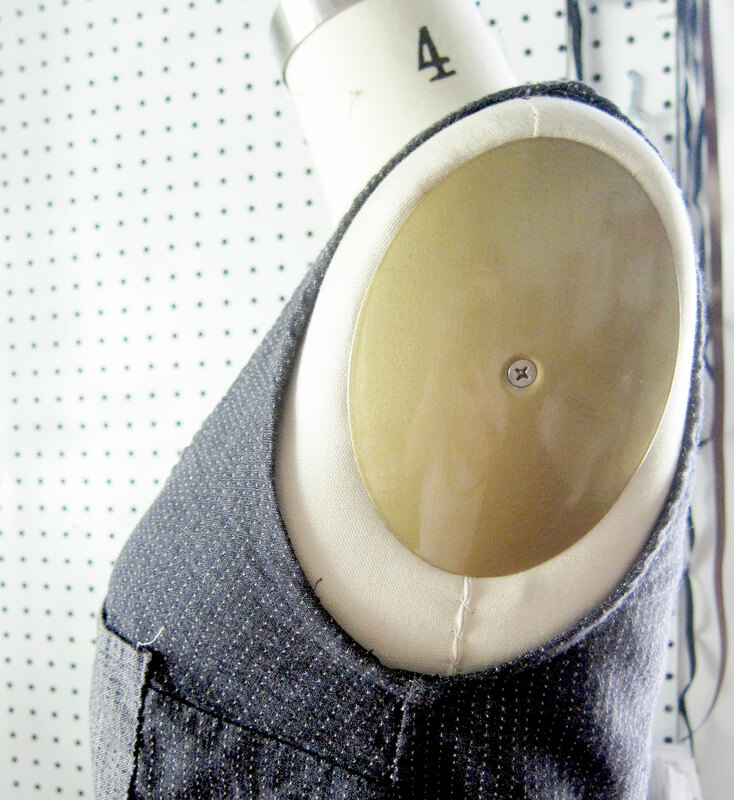 Many women prefer I tighter armhole to cover any under-arm wobbly bits. This girl, in the Texas heat, prefers to have a lot of breathing room. 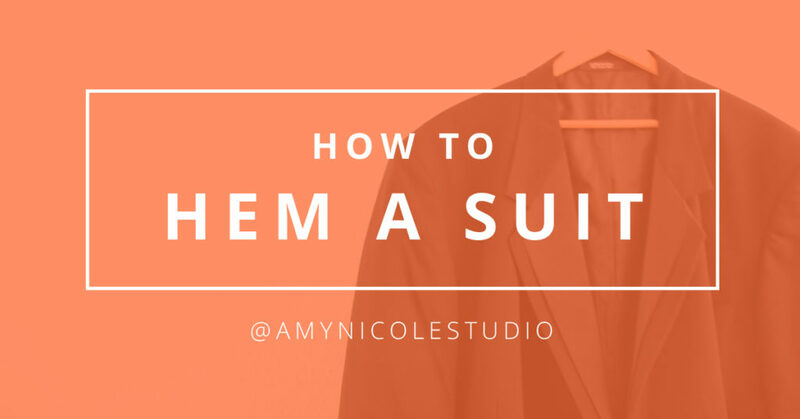 There are several ways to make this adjustment, both in pattern form and in garment form. 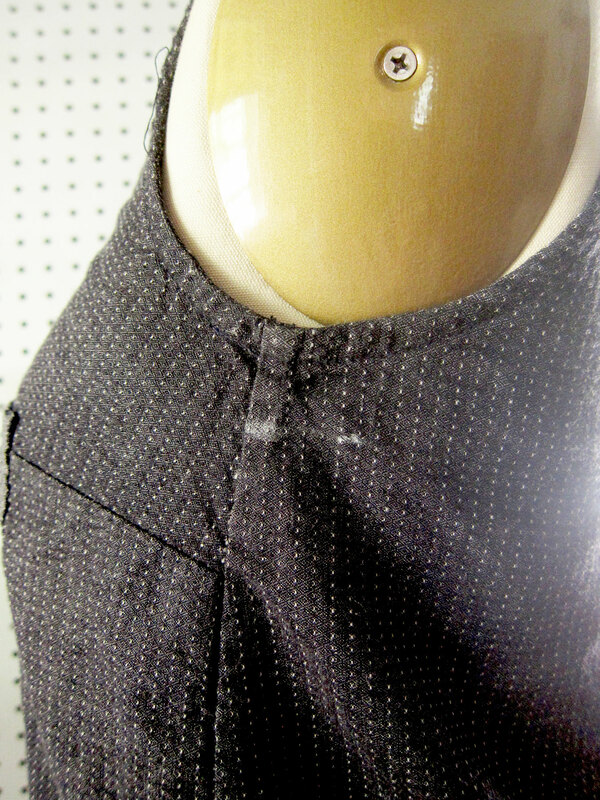 This version covers how to lower the armhole on a top that has bias-finished armholes. You can use this technique on hand-sewn or purchased garments. 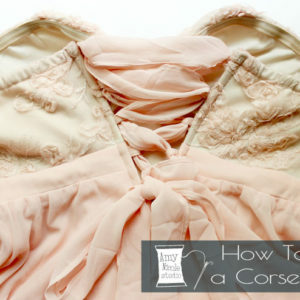 The first thing you must do is try on the top and mark (with tailors chalk or a disappearing fabric pen) where you would like the new underarm to fall at the side seam. You only need to mark one side. I generally end up dropping my armholes about 1″. Transfer this mark to the other armhole. You also need to make two small marks a little more than half way up the front and back each armhole. This is to make sure you are starting and stopping around the same spot on both sides. 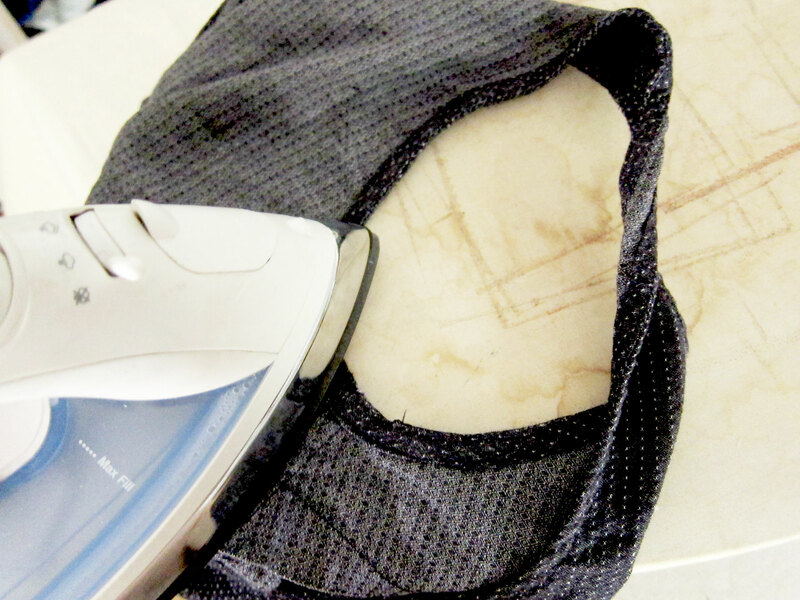 Using a seam ripper or a sharp razor blade, unpick the bias binding of the underarm. Start about 1/2″ above each of your mid-armhole markings (this is to give yourself some room to maneuver your presser foot into position. If your bias binding has been back stitched (it probably has), you will need to remove just the back stitching an additional 1/2″ past where you started, so you will be able to get your needle on top of the original stitching to start your new line. Hopefully, your bias binding has a seam somewhere in the area you have unpicked, joining it together in a circle. Unpick that seam as well, creating an opening in your bias binding. Since we are dropping the armhole we will essentially be adding length to the armhole seam. 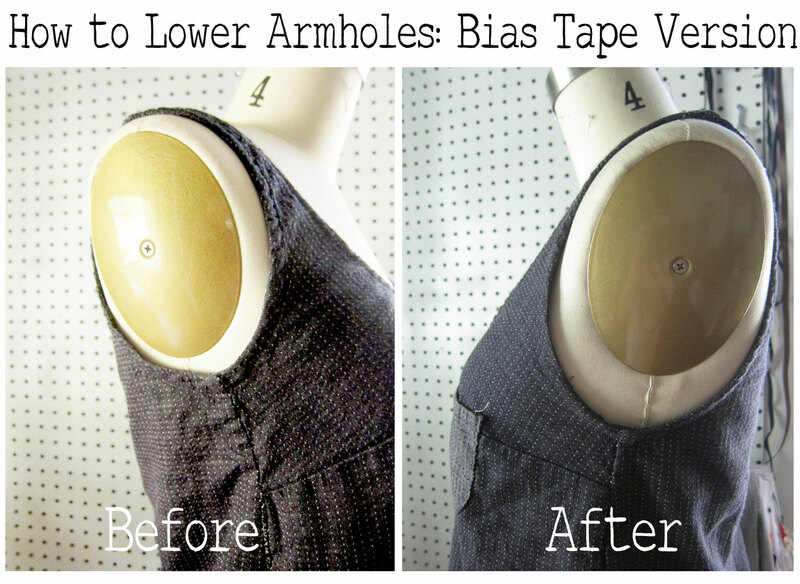 Which means we will need to extend the bias tape. To do this we will be cutting an extra piece of bias binding to add to the existing bias binding. First, measure the width of the original bias binding. Then determine how long your extension piece will be. Do this by adding the amount you are dropping the armhole (in this case 1″) with an additional 1″ of seam allowance (1/2″ on each side). 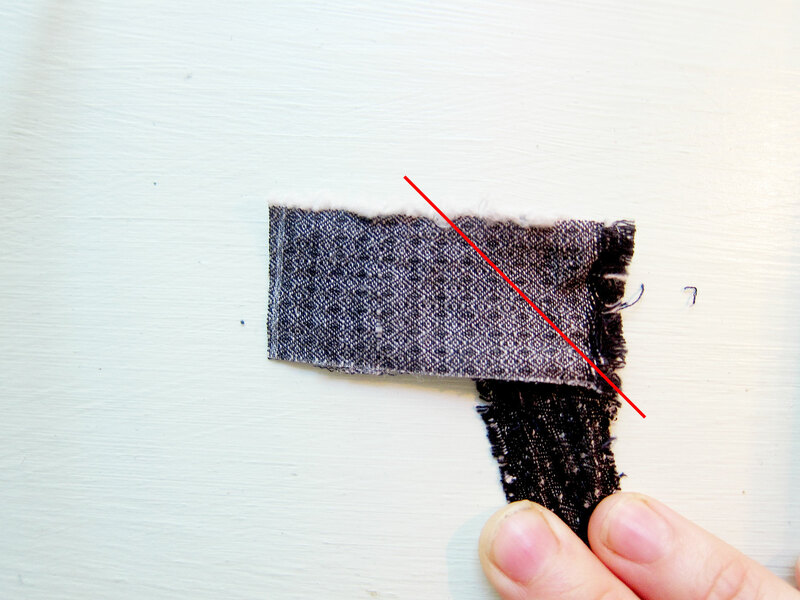 Once you have your measurement, cut a new piece of bias binding out of similar fabric, the same fabric (if available), or out of store-bought bias tape of the same width in a similar color. 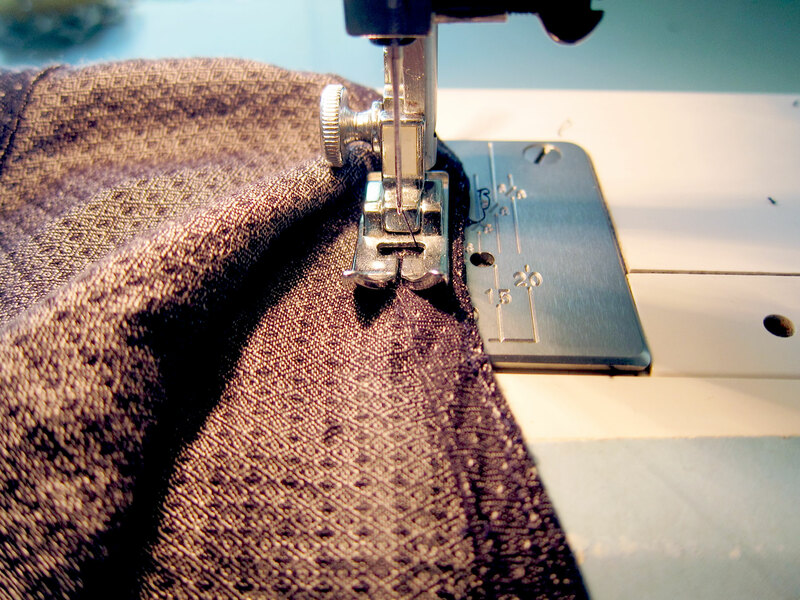 With right sides facing, place your new piece at 90 degree angle with the original piece, and sew a diagonal line of stitching as pictured above. Repeat on other end. Press seam allowances open and trim. 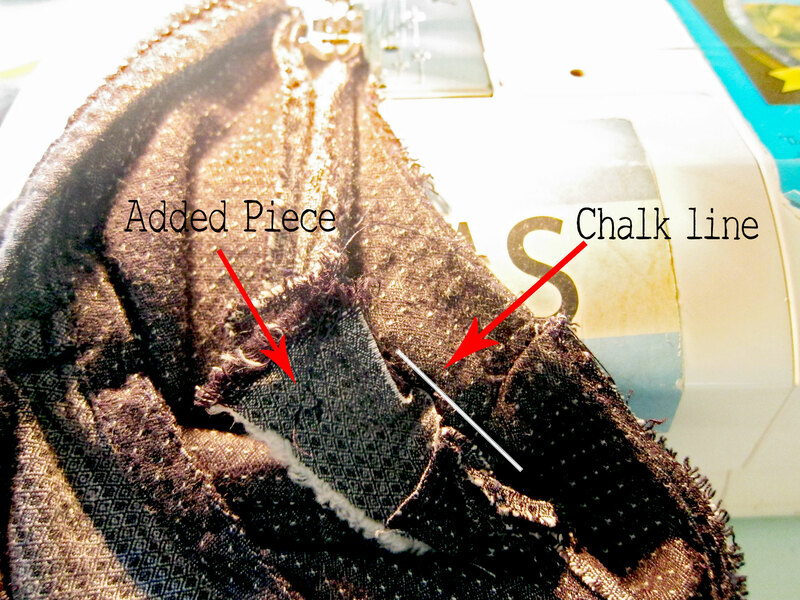 Now you simply follow the usual steps for attaching bias binding. I generally do things by eye, but if it helps you can draw in your new stitch line leading to the new lowered armhole mark with tailors chalk. Re-stitch the bias binding, following a natural curve to your lowered mark. 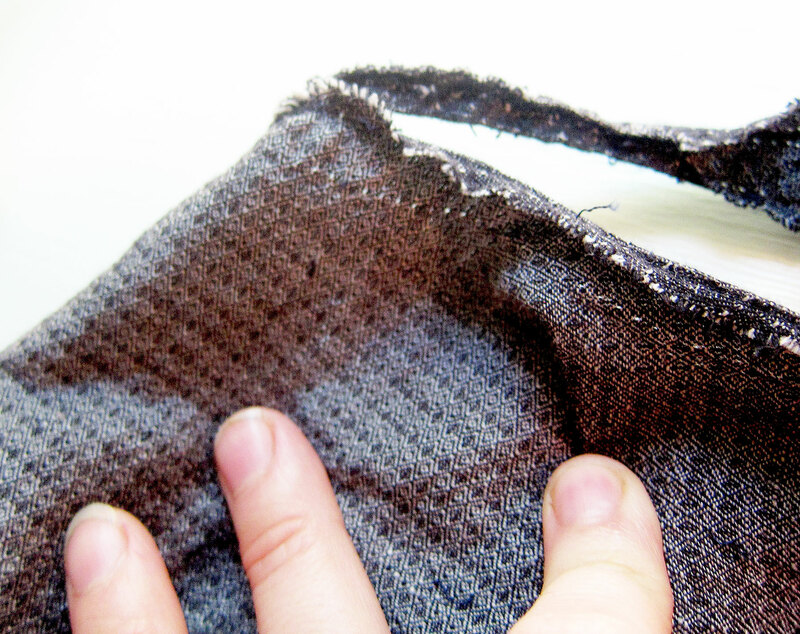 Carefully trim out the excess fabric from the old armhole to about 1/4″ of the stitch you just made. Now for the easy part, do your back stitching, pressing, turning, and topstitching as usual when attaching bias binding. Being sure to use thread that matches the original topstitch thread. Give everything a nice press, use a tailor’s ham if its helpful to you. Voila! You are free to wear your new breathable top with no worries of deodorant marks or sweat stains! If you have a top or dress that has a facing as opposed to bias binding, the technique is essentially the same. 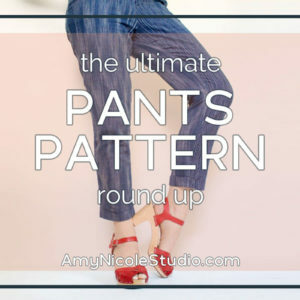 Stay tuned for a tutorial on how to make this adjustment in pattern form, as well as how to make the adjustment on garments with a full lining. Happy sewing and altering folks!